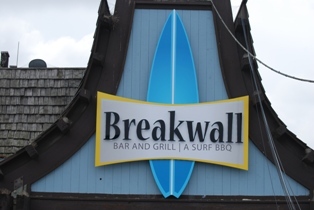 We provide unique signage solutions for your business. 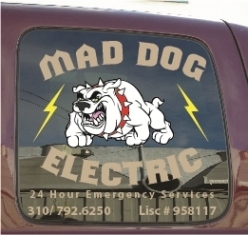 Windows, walls, floors, the company truck should all shout your brand. We built this one of a kind sign for a TV show. 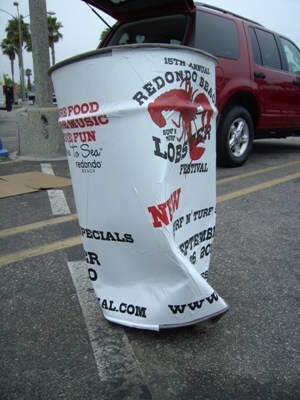 Not only can we wrap vehicles we can wrap cans! 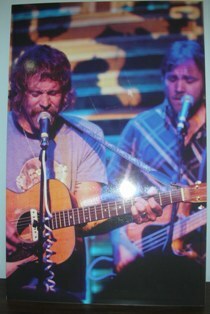 This is a poster we did for St Rocke, one of the South Bay's "Happinin" places. Our Graphic Artist has "wicked" skills with a can of spray paint. 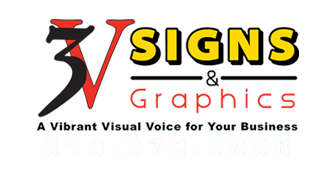 Do you want something with a little more edge than the traditional sign? 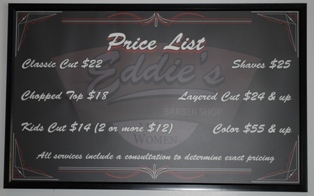 Eddies is a very cool baber shop/salon and we put together an equally cool menu board. Custom Signs What's Your Message? 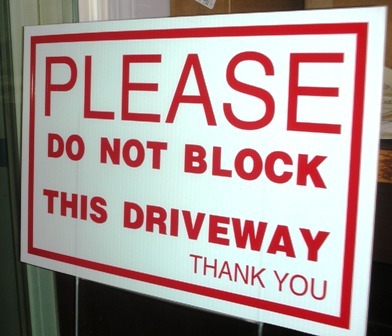 We can make a sign for pretty much anything you need. Could you make . . .? Clients come in with ideas and we work with them to bring the idea into being. 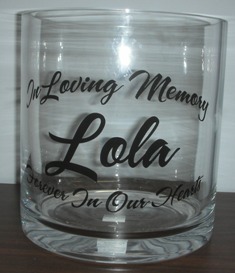 This is a large glass candle holder we applied vinyl lettering to. What's your idea? 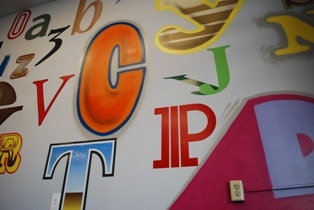 Name Plates can be made in a variety of colors and fonts. Do you need 1 or 12 or 20? This is something we can do for you! Call, come by or request a quote online.